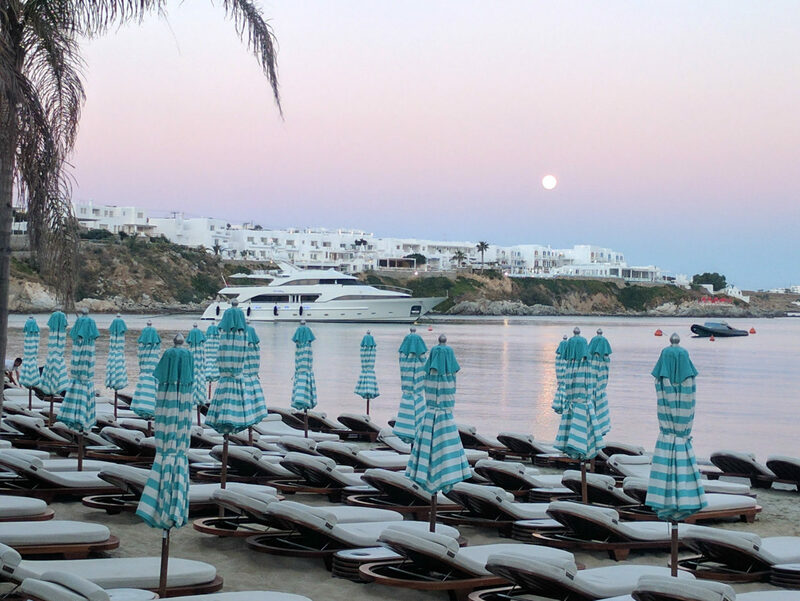 Are you looking for the best beaches in Mykonos? 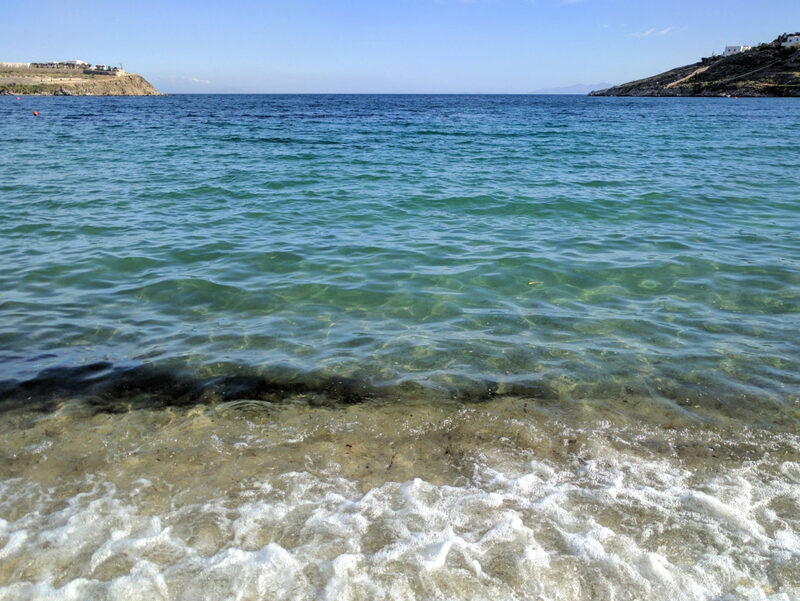 We learned everything we needed to know about beaches when we arrived to our accommodation in Mykonos. 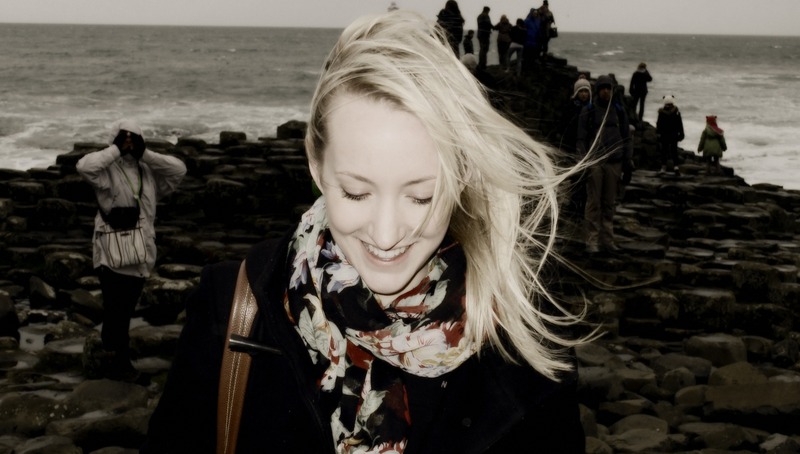 The best way to get local information is to ask the locals! 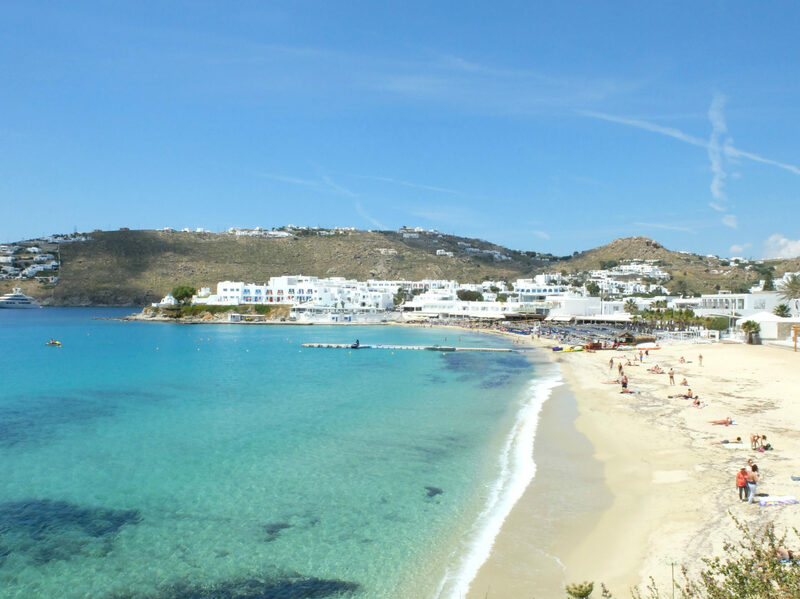 Mykonos Town, on the West side of the island, is a quick drive from the ferry port and not too much further from the airport. It’s a great place to base yourself, as the most popular beaches are on the South West side of the island. We were told that there are some nice beaches to visit on the East and North sides of the island, but the wind makes them less enjoyable. We had a pretty comprehensive list by the time we headed out, and got to try quite a few. I’ve set them out by distance from Mykonos Town. Where to stop: Grab a beach chair and a litre of Sangria at Kuzina. There are some chairs that you need to pay for, but others closer to the restaurant are free with purchase of a drink. 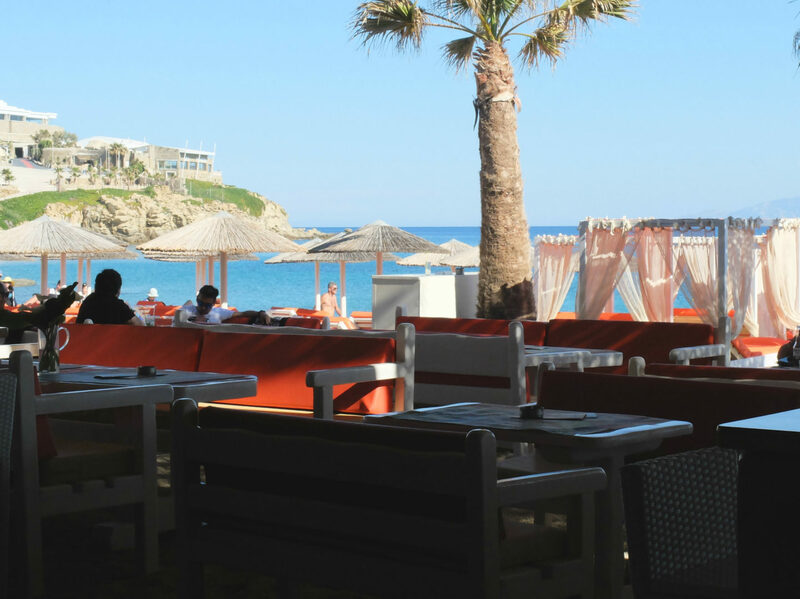 Where to stop: Nammos is an amazing (and expensive) restaurant and beach bar overlooking the sea. It’s where the fancy people go! And look at that sunset..
Where to stop: Avli Tou Thodori is the first restaurant when you get to the beach from the bus stop. The staff were friendly and helpful, and the beach chairs are free when you buy a drink. We had such a relaxing morning here! This beach is a good middle ground if you’re looking for part drinking + part relaxing. Visiting Mykonos? Read the guide before you go! Where to stop: Tropicana Beach Bar was where we spent our afternoon. There are beach chairs up and down the sand, many restaurants, and a beach party that kicks off around 4pm. If you’re looking for ‘spring break,’ this is where you’ll find it. Cavo Paradiso is another big club on Paradise beach, but it wasn’t open for the season when we visited. If you’re a fan of dancing and DJs, I think Cavo might be the place for you. 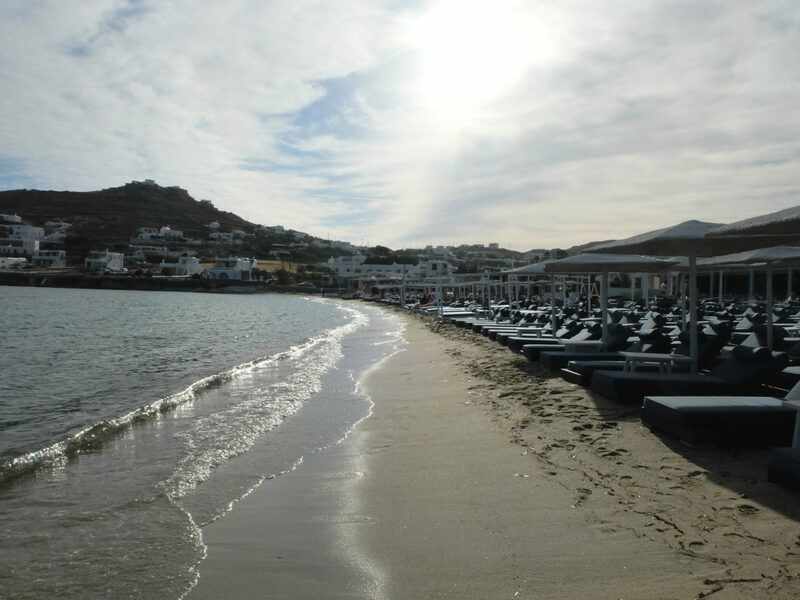 The ultimate beach, with a dedicated shuttled from Mykonos Town, is Super Paradise. We were on a tight schedule and didn’t make it, but from what we heard, it was the top of the top. Pin the beaches for your next trip.